Join the crew of the Straw Hat Pirates! This One Piece DQ Doflamingo Pop! Vinyl Figure #400 measures approximately 3 3/4-inches tall. Comes packaged in a window display box. Funko,One Piece,Pop! Vinyl Figures,Join the crew of the Straw Hat Pirates! 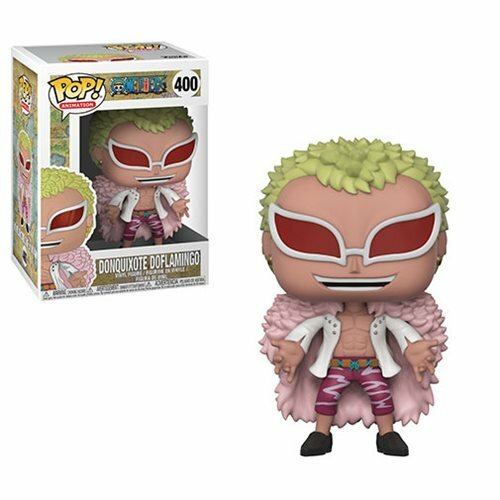 This One Piece DQ Doflamingo Pop! Vinyl Figure #400 measures approximately 3 3/4-inches tall. Comes packaged in a window display box.